This year, in addition to receiving your W-2 tax form from your employer, you are going to receive a Form 1095-C. This is a form that is now required under the so-called “Affordable Care Act.” Unless you work in your company’s payroll or benefits’ departments, you are probably not aware of the burden these departments are experiencing in producing these forms. As I am a payroll and benefits professional and have just finished completing these forms for my employer, allow me to share just how burdensome these reporting requirements are on businesses. (Oh, by the way, the Act also requires your insurance carrier to send you a Form 1095-B as well). The form requires employers to indicate on one line whether or not you were offered insurance coverage that met the minimum standards as required by the Act. There are a number of different codes that must be used, depending upon certain parameters. Unless the code is the same for all twelve months of the year, the proper code for each month must be recorded in a box for that month. On a second line, businesses are required to record in a box for each month, unless it was the same for all twelve, whether you enrolled in the coverage offered, or if not, the appropriate code indicating why you didn’t (e.g., you were not an employee at the time, you were an employee but was in a probationary period, etc.). Obviously the codes in each month’s box on these two lines must match up (in other words, you could not have the code for having been offered insurance on one line if on the second line the code indicates you were not yet an employee). If your company has the misfortune to be “self-insured”, it must also list the names of the dependents covered under the plan as well as their social security numbers (the employer is expected to make at least three “good faith” efforts to obtain these numbers in case they are not in a database kept by the company). Unless you work for a large company that has a robust payroll/benefits accounting system that has been modified to track and produce this data, this information is not readily available in their databases. Consequently it must be compiled from perhaps multiple places into an Excel spreadsheet for example and then merged into a template (that you have to create) so that you can then print the information onto the required form in the proper boxes. Once these are distributed to the employees, the employer must then report a summary of this information on a Form 1094 which requires a month-by-month accounting of how many employees were active on a particular day of the month and how many of them were eligible for insurance as of the first of that month. This form and a copy of all of the Form 1095-Cs must then be forwarded to the IRS so that the Obamacare “Gestapo” can be sure that you have the required coverage and if not, to impose a penalty – oh excuse me Chief Justice Roberts – a tax on you for your failure to acquire the mandated minimum coverage (or fine your employer for not offering the required insurance). 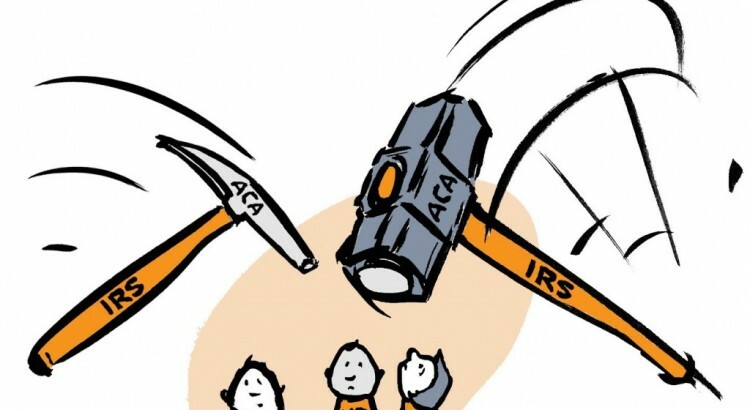 So now you have an insider’s perspective on the regulatory hammer that has fallen on both your employer and insurance carrier. With these compliance costs hammering businesses and insurers, is it any wonder that premiums are going up and businesses are reluctant to hire more full-time employees or have the profits necessary to expand and hire? 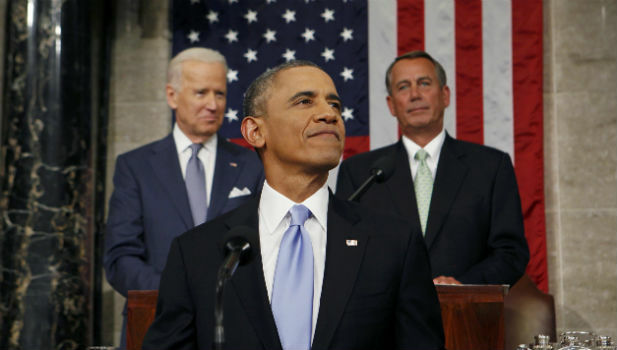 This past Tuesday President Obama gave the final “State of the Union” address of his presidency. I’ve noticed over the years that in every speech any of our recent presidents have given, they always proclaim “and the state of our union is strong.” This President’s final speech ended on that proclamation, but such could not be further from the truth. We have seen our nation sorely divided at several times during our history. The Federalists under John Adams versus the Republicans led by Thomas Jefferson. The southern states versus the northern states throughout most of our history. Racial divisions, economic divisions, etc have at times been severe, and today these are as prominent as they have not been for some time, thanks in large part to this president’s leadership (or lack of) and agenda. Today, these speeches by the sitting president have turned into a big production with little relation to what was originally intended by the founders. Any more, they are nothing more than a big “pep rally” where the party In power gives itself a huge “pat on the back” and a long laundry list of “ornaments” it wants to “hang on the tree” of government expansion. Such was not always the case. As a matter of fact, if you read some of these addresses by our early presidents you will see where they read more like a corporate annual report – facts, plans and real accounting of revenues and expenditures. Not only this, but in some instances the speeches were not even delivered orally, but rather were sent to the Congress in letter form. 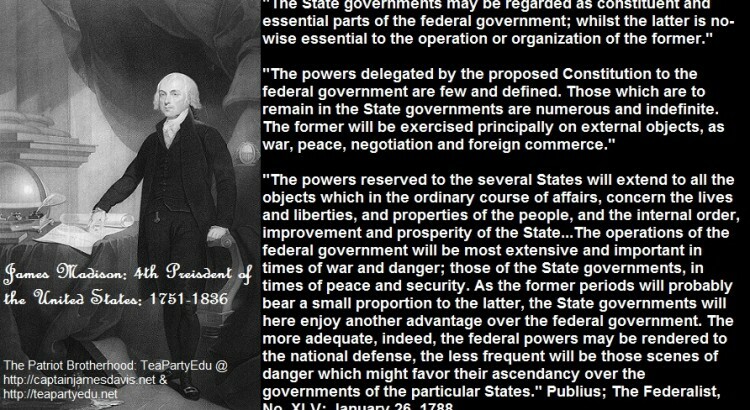 “When we consider that this government is charged with the external and mutual relations only of these states; that the states themselves have principal care of our persons, our property, and our reputation, constituting the great field of human concerns, we may well doubt whether our organization is not too complicated, too expensive; whether offices or officers have not been multiplied unnecessarily, and sometimes injuriously to the service they were meant to promote. I will cause to be laid before you an essay toward a statement of those who, under public employment of various kinds, draw money from the treasury or from our citizens. Time has not permitted a perfect enumeration, the ramifications of office being too multipled and remote to be completely traced in a first trial. Among those who are dependent on executive discretion, I have begun the reduction of what was deemed necessary. The expenses of diplomatic agency have been considerably diminished. The inspectors of internal revenue who were found to obstruct the accountability of the institution, have been discontinued. Several agencies created by executive authority, on salaries fixed by that also, have been suppressed, and should suggest the expediency of regulating that power by law, so as to subject its exercises to legislative inspection and sanction. Other reformations of the same kind will be pursued with that caution which is requisite in removing useless things, not to injure what is retained…. Considering the general tendency to multiply offices and dependencies, and to increase expense to the ultimate term of burden which the citizen can bear, it behooves us to avail ourselves of every occasion which presents itself for taking off the surcharge; that it may never be seen here that, after leaving to labor the smallest portion of its earnings on which it can subsist, government shall itself consume the residue of what it was instituted to guard. This is just a sample of what a real President, intent upon upholding the Constitution he took an oath to protect and having an interest in securing our freedom and liberties would say. Alas, this is not the kind of rhetoric we heard on Tuesday evening. 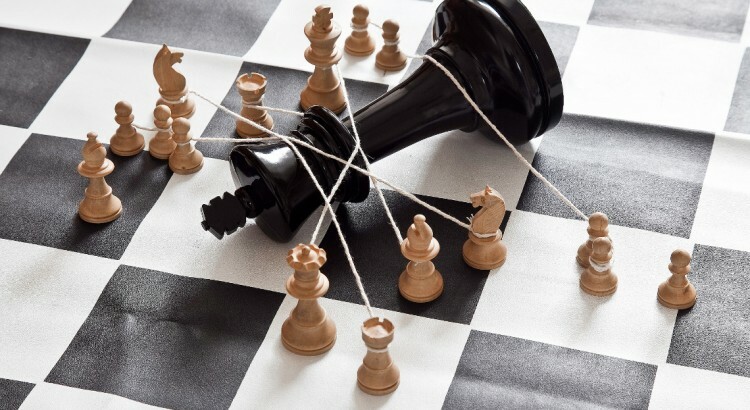 In the game of chess two sides struggle to keep the each other’s power in check so as to protect their “king.” When you consider how our Constitution structures our republic according to the concept of federalism, you can see how it is much like a game of chess. In this case the struggle is not between pieces in a game, but rather between the forces of tyranny and individuals seeking to preserve their freedom and liberties. In the game of chess, each piece has its own unique role to play, with its own level of power and ability to affect the outcome of the game. Like in chess where there are five pieces that work in concert to protect the king, within our Constitution there also exists five “checks-and-balances” against the forces of tyranny. Within the federal government we have the three departments that are supposed to serve as a check against the excesses of one another. Whenever any one of these departments fails to serve its role as a check against the encroaching, extra-constitutional power of the other two, it is as though in the game of chess that piece has been “captured” by the opposing force and removed from the board and is no longer effective in the outcome of the game. This leaves the final and most powerful “piece” in this “chess match” – the queen, which in this case is the American people. It is “We the People” who hold sovereignty over both state and federal government, and it is “We the People” who are to be the ultimate deciders in this match. However, if the “queen” is unaware or not concerned as to its crucial role, it has in effect allowed itself to be cornered and though not necessarily “off the board”, it might as well be. You may consider yourself to be more of a “pawn” and not the powerful “queen”, but together, united, the American people can be an unstoppable force against this surge of tyranny washing upon the shore of our liberties. In chess, if a pawn reaches the back line of the opposing side of the board, it can elect to have a previously captured piece restored to the board in its place. So it is in our struggle to preserve freedom. Though it appears as if Congress has been “captured” in that it has refused to blunt the excesses of both the judiciary and executive branches, it can be restored if “We the People” elect constitutionally-minded men and women to serve in that body. 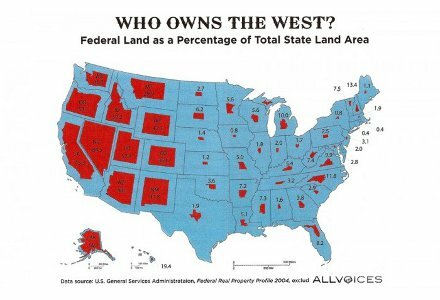 We can restore the power of the states by putting men and women in our state offices who will recognize and reassert their constitutionally-guaranteed roles as a shield against federal encroachment. And finally, if the people of this once great republic will awaken to this danger and band together, we can put the “king” of tyrannical governmental power in check; failure to do so will allow tyranny to put our “king” of freedom in checkmate.